Temora is the hub of the Goldenfields of the Eastern Riverina. – the rich farmlands producing grains, cattle, wool, pigs and much, much more. Temora is also the hub of the goldfields of the late 19th Century, when thousands of miners swarmed through the area to find its golden riches – and they left much of it behind. Today’s riches include the majestic Australian scenery, the classic Edwardian buildings, the fields of wheat, barley, canola and more, the sheep and cattle grazing lazily under a clear blue Australian sky and the many tourist attractions that provide today “gems” for Australian and international travellers alike.Perhaps one of the greatest riches lies in the history of the region – and its historical venues. This is one of the treasures of the Goldenfields region. 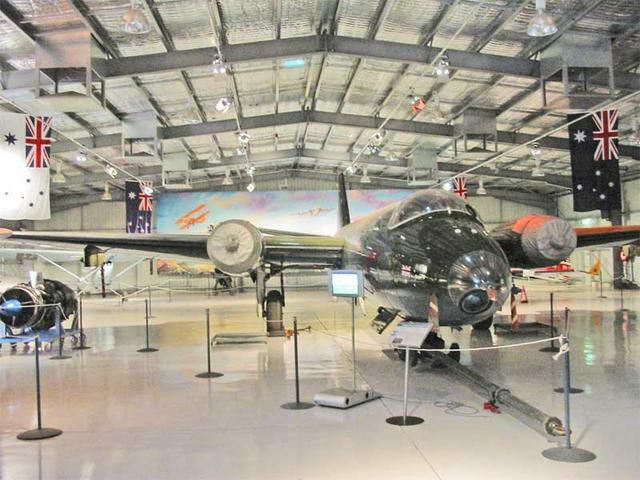 The Temora Aviation Museum has a superb collection of Warbirds – and they fly on the 1st & 3rd Saturday of each month. Please ensure to check the aviaition museum website for any changes before you make your journey. One of the great collections of Australian history lies in this surprising Museum on the southern outskirts of Temora. Operated by the Temora Historical Society with the support of Temora Shire Council, this Museum includes such treasures as a steam-operated gold stamper, the bar of an old Australian pub that was secured just before it was demolished, a one-teacher schoolhouse (one room really), a tiny old country churchouse wth seating for around a dozen people, the original home of the Bradman family (an old slab timber hut), old tractors and the (still operational) workings of the old flour mill. 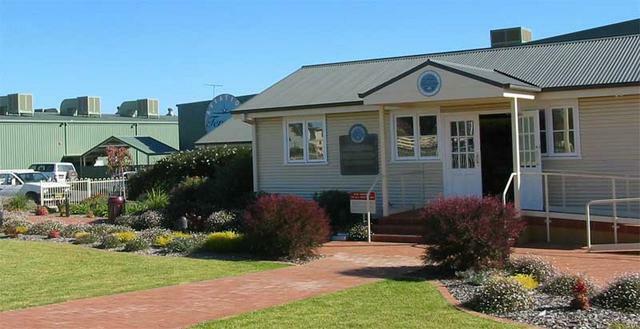 The Museum includes an old dance hall, the old Temora ambulance station (complete with old ambulances), the old flatbed printing press of the Temora Independent newspaper and much, much more. There’s a genealogy research section, a geological museum (which includes Temora Greenstone, a stone that is only found in this area) as well as old fashion outfits, historical research information and ALL the archived records of Temora Shire. There’s a special walking tour around Temora that will allow you to enjoy the façade of some of the beautiful Edwardian and Georgian buildings in the town. The tour comes complete with tour notes from the Temora Visitor Information Centre. Temora’s goldfields, which were discovered in the 1890’s, were rich and plentiful. They created a gold rush that saw the town founded as a bustling centre that would later become a regional force for the farms that were left behind after the heady days of gold digging. The gold mines are still in evidence today and the tunnels still run deep beneath the ground (in fact some of the tunnels still run under the main street – Hoskins Street) and periodically a Temoran wakes to find their rotary clothes line flat on the ground – thanks to the subsidence of an old tunnel. Plans are in hand to try to re-open some of the old mines but in the interim there are tours that will take you around the old sites, particularly the most famous of the mines – the Mother Shipton – that yielded three nuggets that contained, respectively, 258,33 ounces of gold, 41.53 ounces and 8.49 ounces for which the Department of Mines paid 1, 233 pounds eight shillings ($2,466). Temora is the custodian of a rich Australian heritage on several fronts. But it is the heritage that is being preserved for this and future generations to reflect upon. That’s why Temora has a Heritage Trail and we provide maps and/or guides to conduct you around some of that heritage. Our Heritage Trail starts in Temora and takes in Ariah (pronounced “area”) Park, Bectric and Sebastopol. Tours can be organised through reception at the Aromet Motor Inn or through the Temora Visitor Information Centre. You can see the town once christened “the town of wowsers, bowsers and Peppercorn Trees”, find yourself in Quandary, discover a pise (mud brick) hall and visit a location where goldminers were wont to drink.